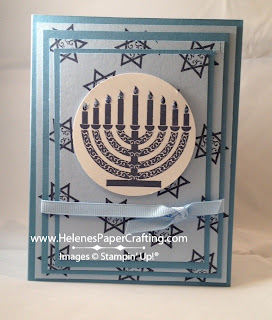 Helene's Papercrafting Helene's Papercrafting: Jewish Celebrations Stamp Set - it's timeless! 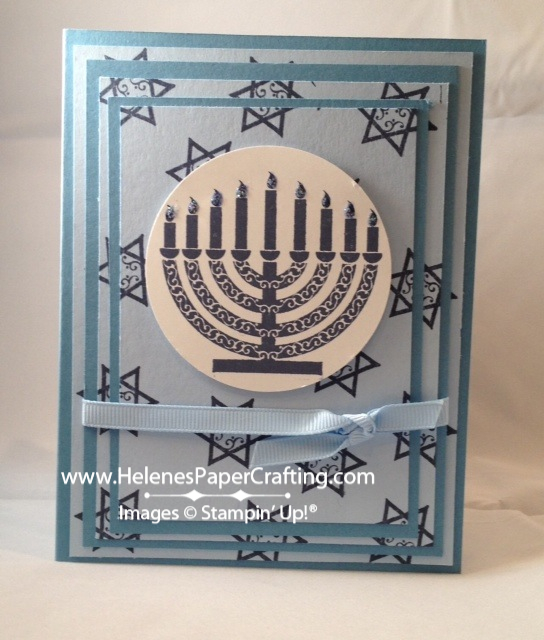 Jewish Celebrations Stamp Set - it's timeless! 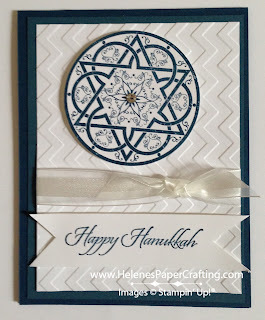 I'm so happy the Jewish Celebrations stamp set is one of the holiday stamps sets that carried over from last season's holiday catalog. 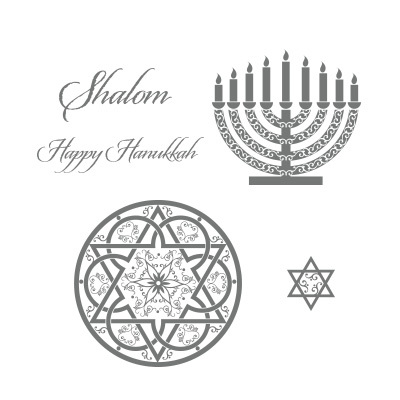 It's timeless. I used it for my holiday stamp-a-stack event last year and I'm using it again this year. But this year, I was able to make a matching envelope with the new Envelope Liners Framelit Dies! 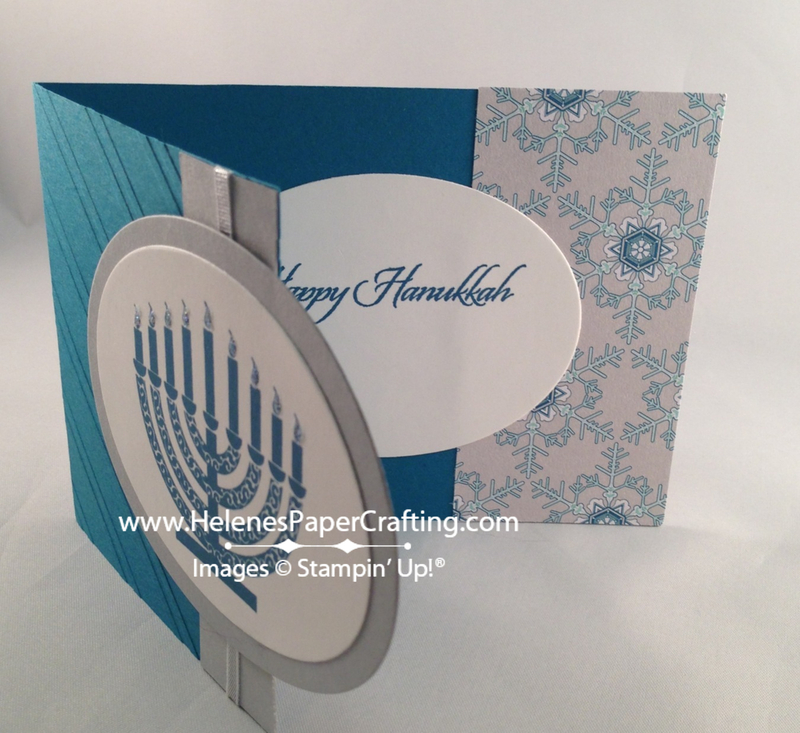 Here's the two cards I made last year. 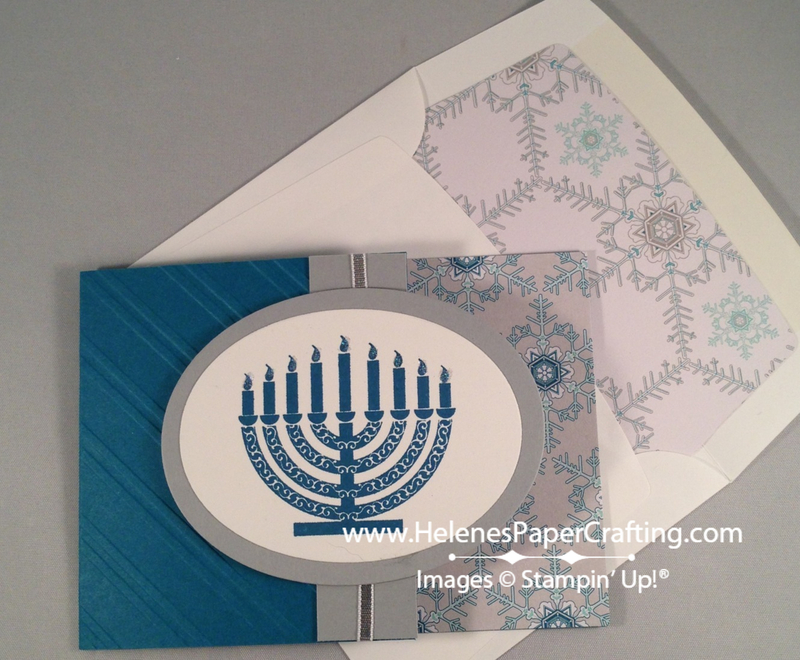 I like how you can make very different cards from the same stamp set!